Niagara College Canada is a public university established in 1967 in Welland, Ontario. The school's location is right next to the world-famous Niagara Falls, which attracts around 16 million visitors a year. Throughout the last decade, Niagara College has always focused on the quality of training, maintaining its place in the top of the best colleges in Ontario. The percentage of students with post-graduate employment is up to 87.8%, and especially employers are satisfied with the quality of the students who have been trained at the school. 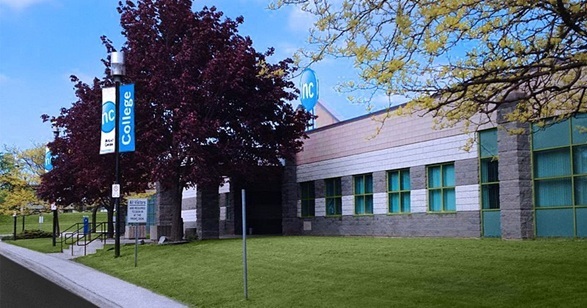 The school has three large campuses: Welland Campus, with an area of 40 hectares, is home to programs for applied medical, health, art, technology, and business programs. Niagara-on-the-lake has a vineyard, a food court, and a brewery. Niagara Falls is specialized in hospitality, tourism, business and environmental training. Being on the list of 45 Canadian Express Study (CES) schools - the fastest time to prove your finances and finish your visa, the school is open to all international students to study and research. In addition, the state has many immigrant extension policies, students have the opportunity to apply for permanent residence with a stay of up to 5 years. 2. Why choose Niagara College Canada? - Quick application procedure, no need to prove financial under the CES Canada 2017 program. - Study at a top-quality college, friendly learning environment. - The school is located outside of Niagara City so the cost of living will be cheaper, the atmosphere quieter for study and living. However, close to the US and Canada borders, if you want to be able to easily move to the famous tourist attractions of both countries. - During the learning process, students will have more time to practice to improve their knowledge and skills. The internship will take place in companies, businesses and students will be paid. In particular, after graduation, students receive a work permit for three years, working anywhere in Canada. - Students are allowed to work more 20 hours per week while in school, and 40 hours per week during holidays. Because of its proximity to the famous Niagara Falls, students can easily find a job-related job in the travel industry. - With the help of the teacher, students will easily build a personal study plan that suits their abilities, and also create personal profile to easily apply after graduation. 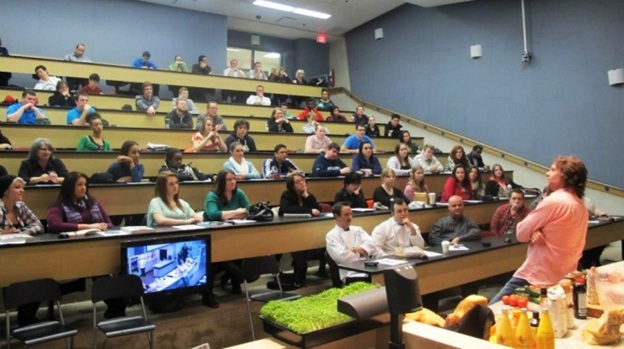 - Niagara College is proud to be the largest and most continuously growing number of events in the year. Students can participate in career events, volunteer events, fundraising, new student support, etc. "Event Portal" is a channel for the attendance of students with multiple criteria. old. This achievement is one of the topics that employers are interested in when reviewing applications. - Have the opportunity to apply for permanent residency with a stay in Canda up to 5 years after graduation. + Science and humanities, health and community research: school management, early childhood education, health and competitive performance, community service connoisseurs, recreation and leisure. .
Co-operative Education Programs (Co-op) are offered as part of a bachelor's degree program. This is an opportunity for students to accumulate knowledge and experience to successfully complete their studies. Niagara College Canada devotes a large number of valuable scholarships and a variety of financial support policies to international students. There are two main types of scholarships: entrance scholarships and scholarships, as well as international student awards. The initial 2,000 CAD entry scholarship is called Entrance scholarships. The current scholarships range from 500CAD to 2000CAD, which is awarded to students with outstanding academic achievements and contributions to community activities and volunteer work. School board members will be based on their achievements at the "event portal" and will be actively involved in student certification. Each year, Niagara College Canada awards the top 5% of international students the best of 500CAD prizes.